Announcing the arrival of Channel Islands TRANSIENT MK2 USB DAC-Digital to Analogue Converter + Dedicated VDC5MK2 PSU-POWER SUPPLY UNIT from USA. Usual Price@ $1400.00/set of 2. Intro Price@ $1299.00/set of 2. A versatile asynchronous 24 bit/192k USB converter featuring an XMOS based circuit, low-jitter clocks, multiple digital outputs, Wolfson DAC and high-resolution volume control. The heart of the system is our XMOS based circuit utilizing extremely low-jitter clocks. Multiple digital outputs are available via isolated 75 ohm BNC (with included 75 ohm RCA adapter) and two individually buffered I2S outputs. In addition to the digital outputs, Transient also provides Digital to Analog conversion. The conversion is done by a Wolfson circuit with a built-in high resolution volume control and 2V RMS output. A microprocessor circuit allows configuration for fixed (line level) output, or variable volume control, and also indicates the sampling frequency of the incoming signal. Highest quality parts are used throughout: Nichicon Muse & 2% tolerance polypropylene power supply capacitors, Takman resistors and WIMA polypropylene capacitors for signal circuits, and Canare BNC connector. The shielded anti-resonant chassis is 1/8 thick T6061 aluminum with 3/16” thick front panel, and all hardware is non-magnetic stainless steel. The Transient is powered by the USB cable so you can plug into your computer audio and take it on the go. Our VDC-5 MKII Upgrade Power Supply can be connected to the DC Input port for improved performance. -As a stand-alone USB DAC/Pre the Transient 2 gets high marks. 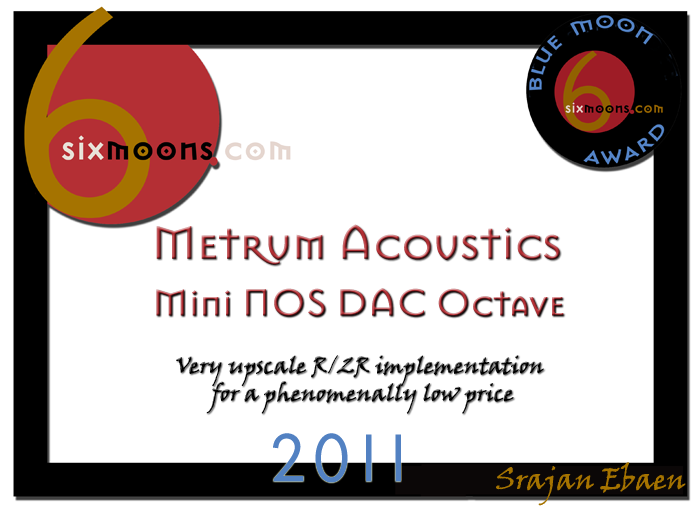 Announcing the arrival of the AWARD winning METRUM ACOUSTICS OCTAVE DAC-Digital to Analogue Converter + Dedicated PSU-POWER SUPPLY UNIT from Netherlands. 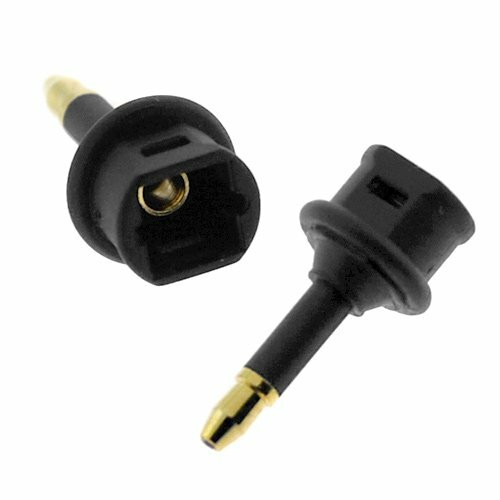 For Mac users using the optical output found behind the 3.5mm stereo socket, we have the special optical adaptor in stock@ $5.00/each. We love the sound of vinyl. Its organic and sublime but it comes with caveats. It needs an expensive turntable and arm, careful setup, regular maintenance and regular expensive replacement cartridges. Now we have an alternative, a digital convertor with all the qualities and sound of vinyl without the cost and maintenance of one - NOS MINI DAC "Octave"
We wanted to design a DAC which would not be based on the regular AKM, Burr Brown, TI, Crystal and Wolfson chips, which are ubiquitous in consumer audio. Instead we wanted an ultra high-speed part such as you'd find in industrial applications. After many years of experimentation we finally identified an extremely fast chip that's useable for 16 or 24-bit audio but handles sampling rates up to 15 Megahertz. Glue logic, or a great understanding of digital audio, was required to match this chip to the standard audio formats. Due to the very low glitch energy of our resistor ladder network, no digital filter or oversampling was required. Our machines are deliberately without frills. Paralleling four industrial DACs per channel with integral voltage outputs improves low-level information and noise floor for digital data via the receiver chip. 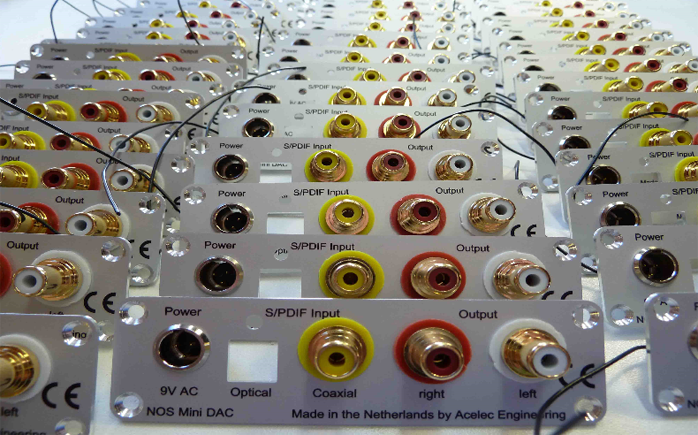 Because our DAC chips are relatively expensive and usually only seen in fast data acquisition systems for industrial use, we kept functionality and cosmetics simple. We avoided multiple i/o ports and a hefty chassis to maintain instead an attractive price. One obvious advantage of our high-speed chips is that they exhibit excellent impulse response without pre/post ringing so common in today's oversampling converters. To avoid mutual interference between digital and analog data a six-layer printed circuit board is used. The Octave is a 2 box system, one box contains the DAC and the other the PSU (power-supply). A separate heavy filtered 15 VA powersupply is used for both 115V AC or †230 V AC. The †power from the toroidal transformer is rectified in the dac and smoothed by 26 capacitors with an equivalent capacity of 12.000uF. The sound is natural, stress-free and communicates the musicians' intention directly to you. This is what can be achieved through a non-oversampling DAC. The feel of this sound is of an analogue reproduction. Sampling frequency: 32 tot 96 kHz sampling 16 or 24 bits. For full specifications and ranges, please visit [url]www.musiclinkav.com. Introducing Pangea's range of Handcrafted Power Supply Units, PowerCords, USB cables, HDMI, Power Adaptors & speaker stands. Designed to be affordable, Pangea's range will appeal to the budget tight audiophile and provide the WOW factor when you try it on your system. We have added another member of the Rega family Brio-R to our line-up of Regas consisting of the Apollo-R & DAC. Model: Apollo-R cd player. Usual Price@ $1400.00/each. †Promo Price †@ $1260.00/each. Model: DAC. Usual Price@ $1300.00/each. †Promo Price @ $1170.00/each. Model: BRIO-R Integrated Amp. Usual Price@ $1300.00/each. Promo Price @ $1100.00/each. The Apollo-R is the result of many years of innovation, advanced software development and elegant engineering solutions researched by our highly skilled team of engineers and designers. It took the completion of two of our multi award winning products, the flagship Isis CD player and the Rega DAC to pave the way for a unique product we feel encapsulates everything the new Apollo-R should be. The original Apollo CD player launched in 2005. It was a huge success selling approaching 20,000 units worldwide. The Apollo was a unique player featuring Regaís own software and control system ensuring no other manufacturers player could sound the same. This key element is carried forward and improved into Apollo-R.
Development of the analogue, digital and control domains ensured direct improvements of both analogue and digital outputs making the Apollo-R a perfect partner for the Rega Brio-R amplifier and an ideal ëCD formatí front-end for the Rega DAC. The Apollo-R internal circuitry has also been improved by tightening the PCB layout. 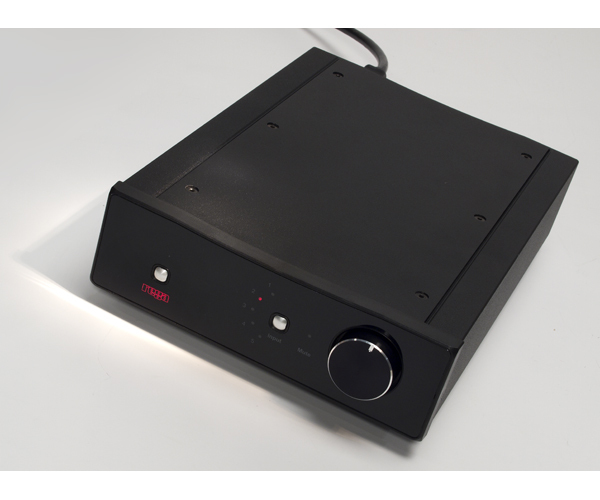 Apollo-R is a top loading design housed in a custom compact aluminium case matching the Rega DAC and Brio-R amplifier. The Apollo-R is available in both black or satin silver finish. A new dedicated CD remote handset is supplied as standard which also has the advantage of Rega amplifier functionality . The DAC and the output amplifier of the Apollo-R have been enhanced using the Wolfson WM8742 digital to analogue converter, the same integrated circuit found in the Rega DAC. The ëdigitalí power supplies feeding the CD processor, optical block, laser diode amplifier and slicer have been enhanced. This is achieved by using the same high performance low noise power supplies found in the same location within the Isis CD player. This vastly improves the playability, error correction and the ëinner coreí processing of the digital CD ëspinnerí part of the Apollo-R. The discrete output amplifier has been tweaked to reduce the overall THD from typically 0.005% to 0.0025%, whilst at the same time improving the overall sound quality of the output amplifier. We have improved the user interface control by using a dedicated display microprocessor, which eases the workload on the main control processors giving an improvement in the control code stability, usability and improved speed of initialisation of the disc being played which now matches that of the Isis CD player. Redeveloped Analogue & Digital outputs. CD remote with amplifier functionality. Maximise the potential of your digital audio. The Rega DAC is a 16/20/24-bit at 32kHz to 192kHz digital to analogue converter incorporating an enhanced version of the Rega designed circuit. Developed to be simple to set up and use, the Rega DAC is designed to optimise performance from any two channel PCM digital audio source such as a CD player PC or streaming device. With the PC/Laptop and MAC now widely accepted as creditable mediums for storing and streaming music. The use of high quality lossless files such as WAV, FLAC and ALAC offer performance through the DAC equal to and in some cases better than red book CD. Housed in a custom aluminium and steel case and boasting a pair of Wolfson DAC IC's, 5 user selectable digital filters, two isolated Co-axial inputs, two Toslink SPDIF inputs and an isolated USB input. 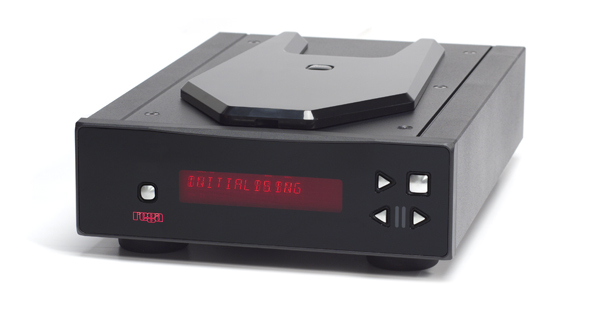 The Rega DAC is designed and engineered to perform way above its class. The input stage comprises a Wolfson digital receiver with a high stability low jitter clock. 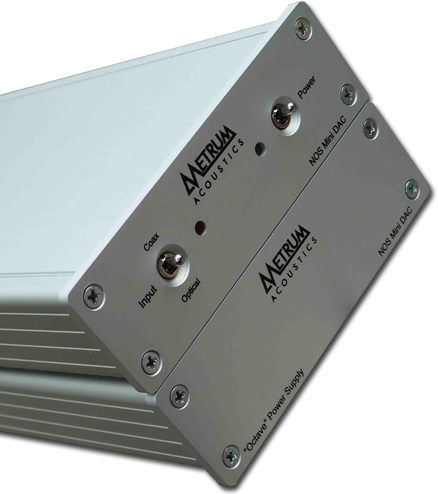 The receiver and PLL have their own dedicated power supplies. 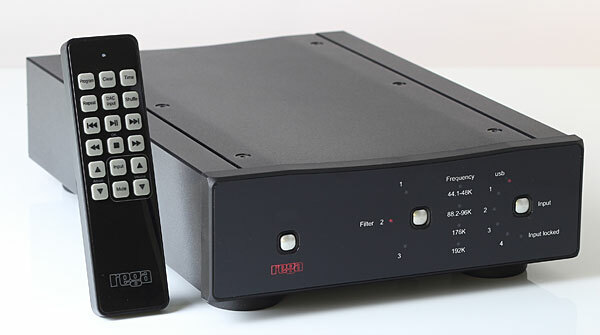 The DAC stage comprises of a pair of parallel-connected Wolfson WM8742 DAC's, which are driven via a buffer stage, which ensures the integrity of the data being fed to the DAC IC's similar to the arrangement used in the Isis (Rega's refrerence CD player). Great care has been taken to remove noise generated by the PC and other input sources. During development this was identified as a major drawback with many DAC's on the market today. All the capacitors associated with the analogue signal path are Nichicon FG bypassed with MMK polyester capacitors, and low impedance conductive polymer capacitors are used for DAC decoupling. The power supply utilizes a toroidal transformer, fast rectifier diodes and again Nichicon FG capacitors. There is a power supply for the control microcontroller, separate from the digital & analogue audio stages. Special attention being paid to the inter IC control signals ensuring the control data noise is kept to a minimum. 16-20-24-bit at 32kHz to 192kHz digital to analogue conversion. Five user selectable digital filters. a high stability low jitter clock. data with our receiver PLL. are driven via a buffer stage, a similar configuration to that used in the Isis CD player. Output amplifier with a discrete differential multiple feedback filter and output amplifier. Housed in a brand new custom steel & aluminium case. The BrioñR embodies all the necessary ingredients. Substantial toroidal transformer, generous power supply components, rugged output stage, the use of film capacitors in the signal path and at all critical positions within the phono amplifier. HURRY CHECK IT OUT SOON!